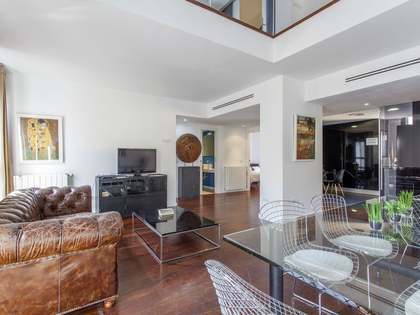 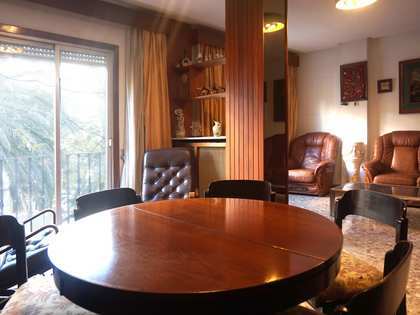 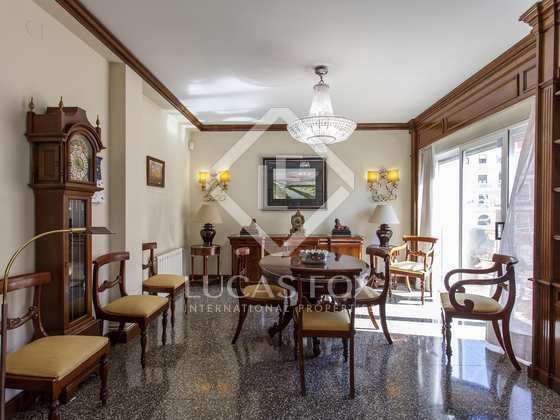 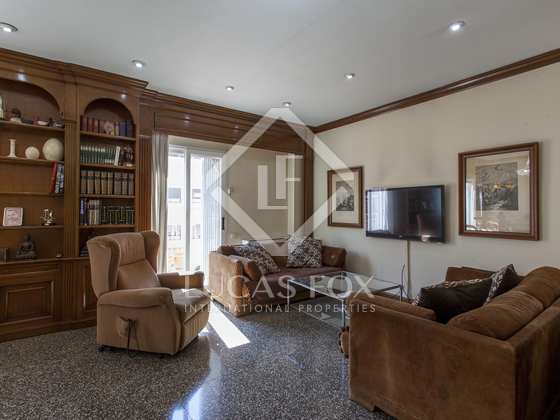 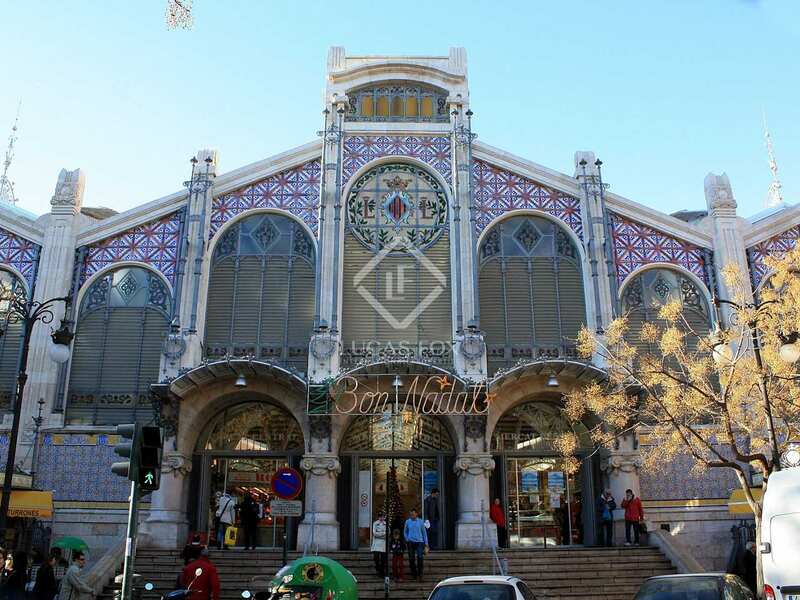 Bright, spacious apartment with high ceilings for sale close to the Mercado Central in Valencia. 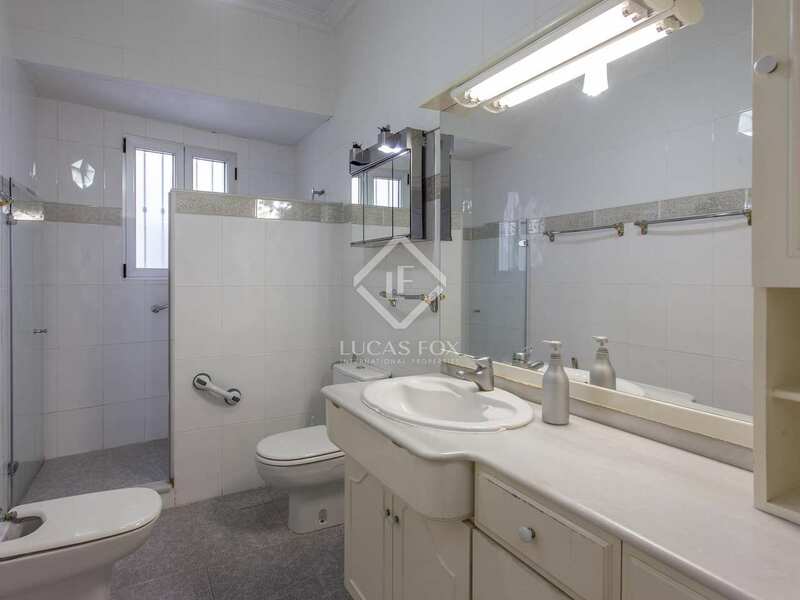 On Avenida del Oeste, near the Mercado Central, we find this spacious and bright property with high ceilings. 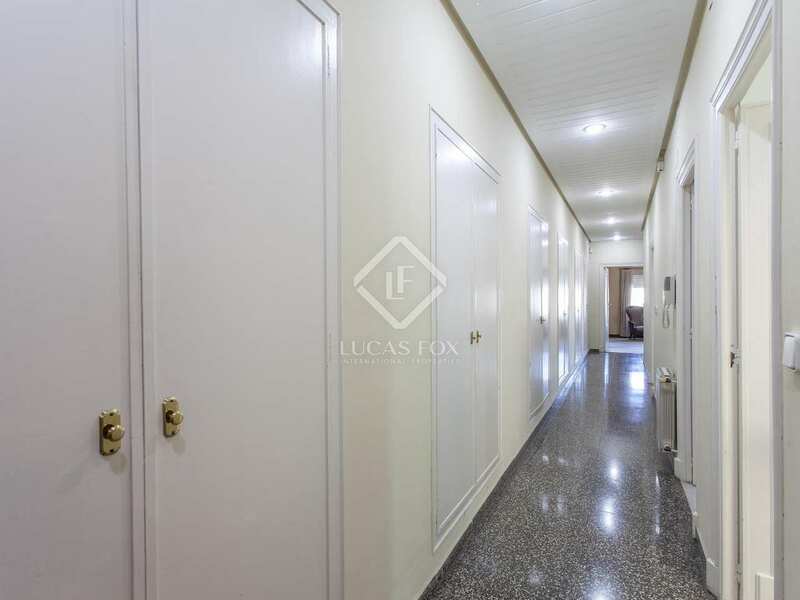 It is located on the eighth floor of a stately 1950s building which has been fully renovated. 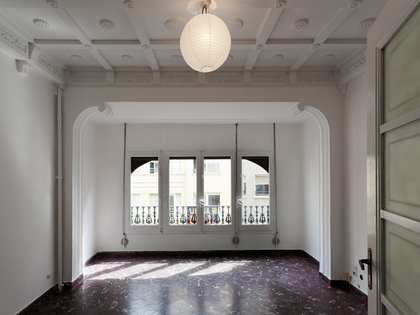 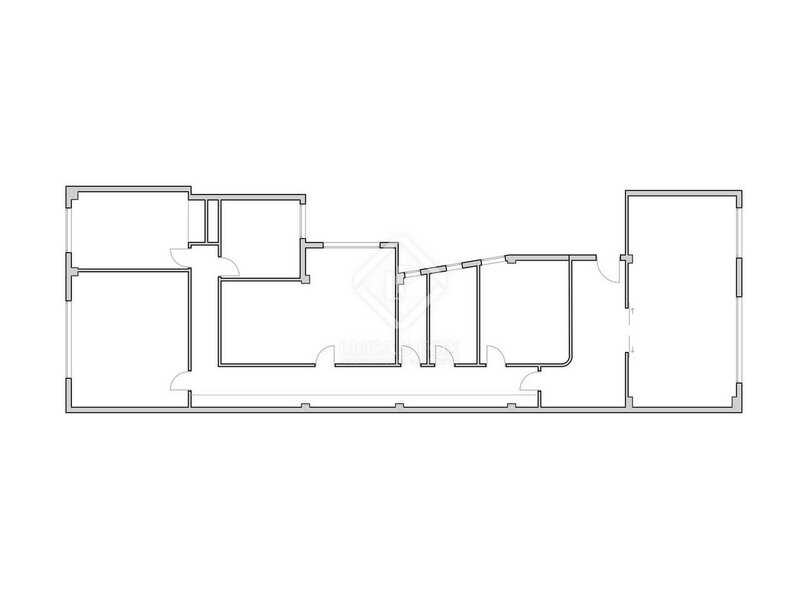 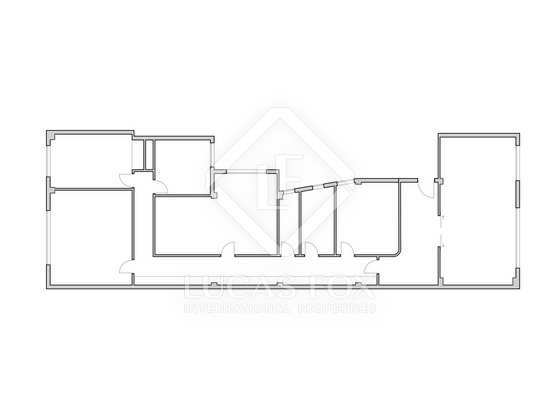 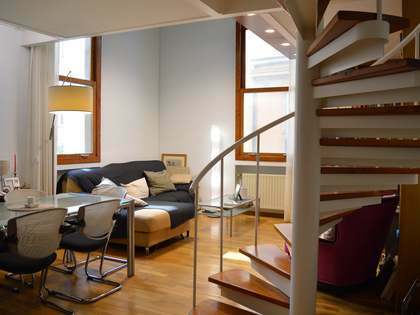 It consists of a 35 m² living room with 2 balconies over the facade, a kitchen, 4 bedrooms and 2 bathrooms. 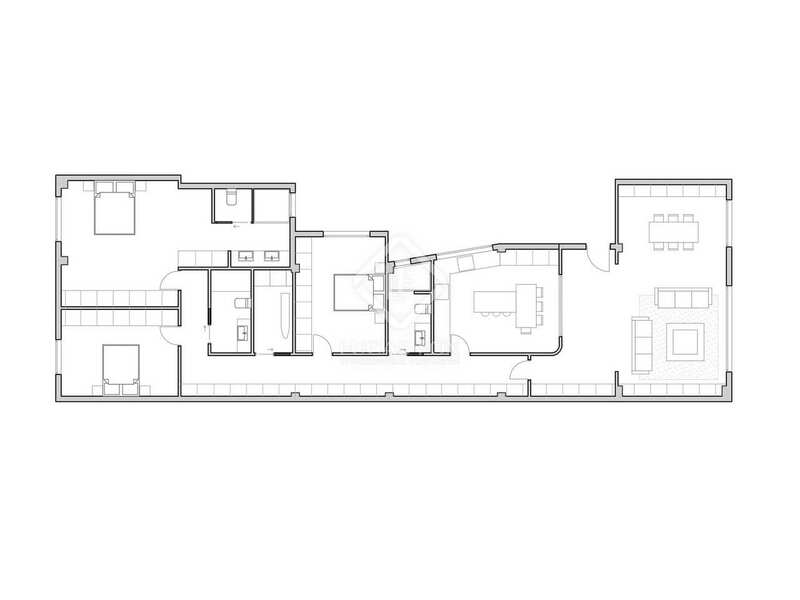 Two of the bedrooms overlook the interior patios, while the other 2, including the main one of 22 m², overlook a wide block patio. 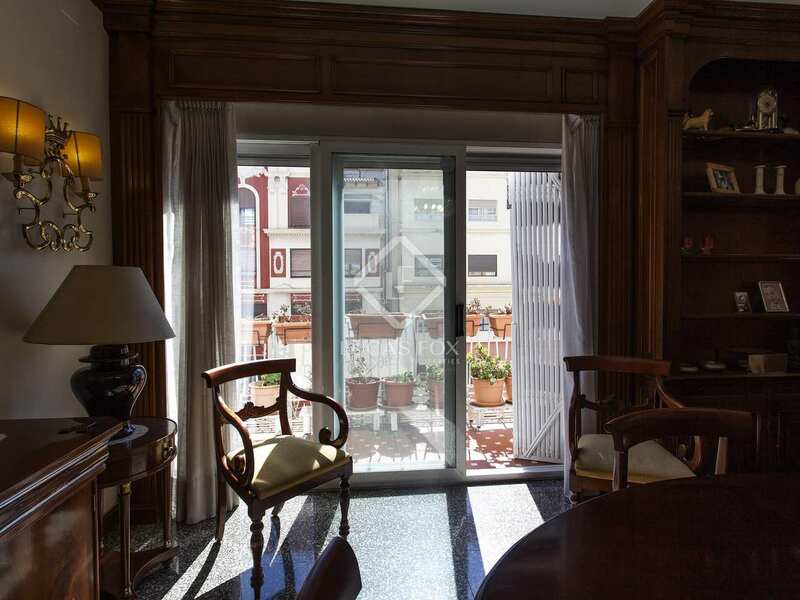 This property enjoys a lot of natural light thanks to its east orientation and offers side views to the Central Market and rear views to the Tower of Quart. 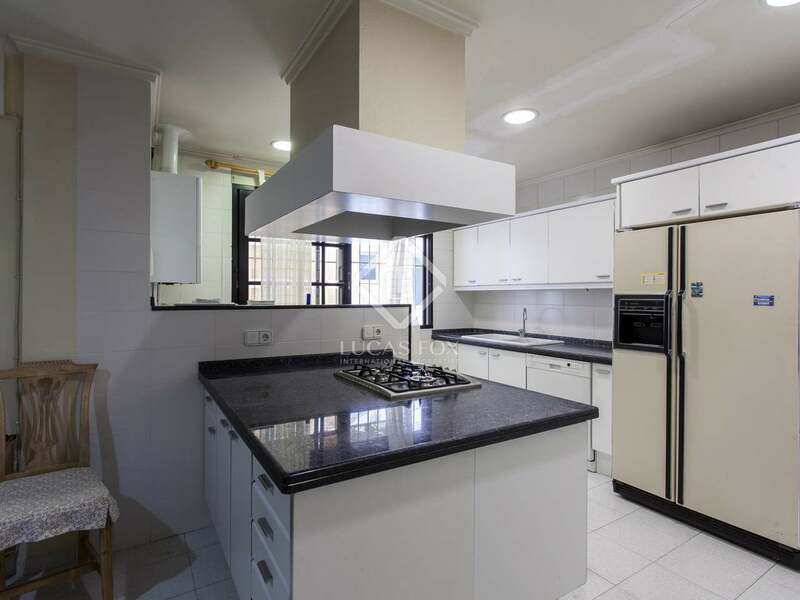 It is presented in very good condition, although it would be advisable to update the bathrooms and the kitchen. 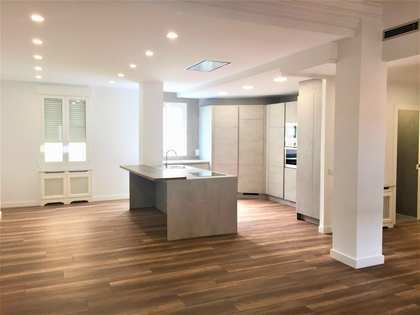 It also has great renovation potential to adapt it to your preferences. 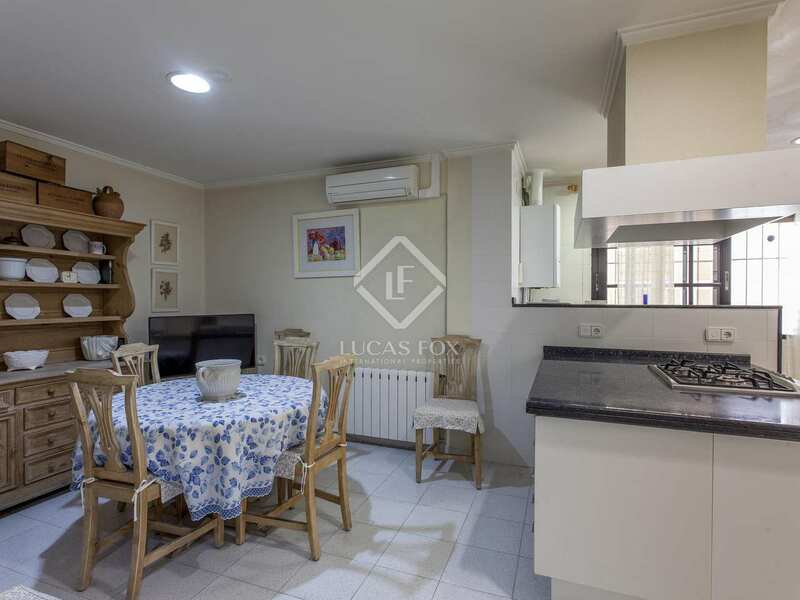 The apartment has central heating with radiators and air conditioning units. 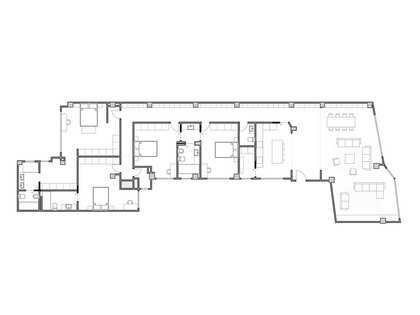 In addition, the price includes a storage room on the building's rooftop and a municipal parking space in a nearby car park. 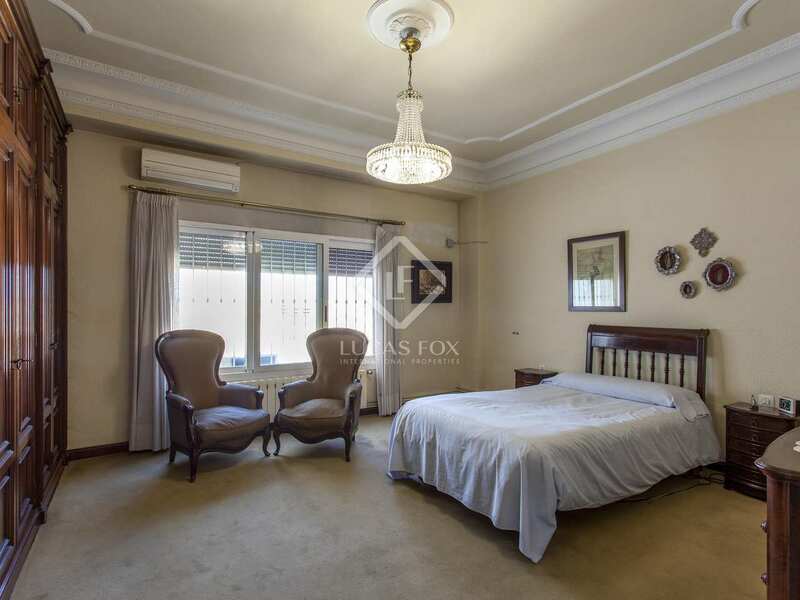 This magnificent property would be ideal for families who need large rooms or for investors, as it is sold at a very competitive price and is in an excellent central location. 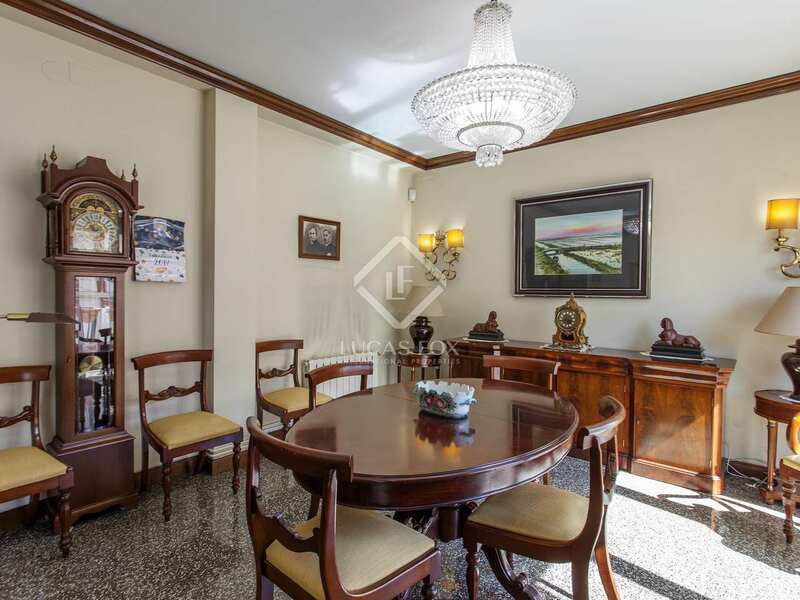 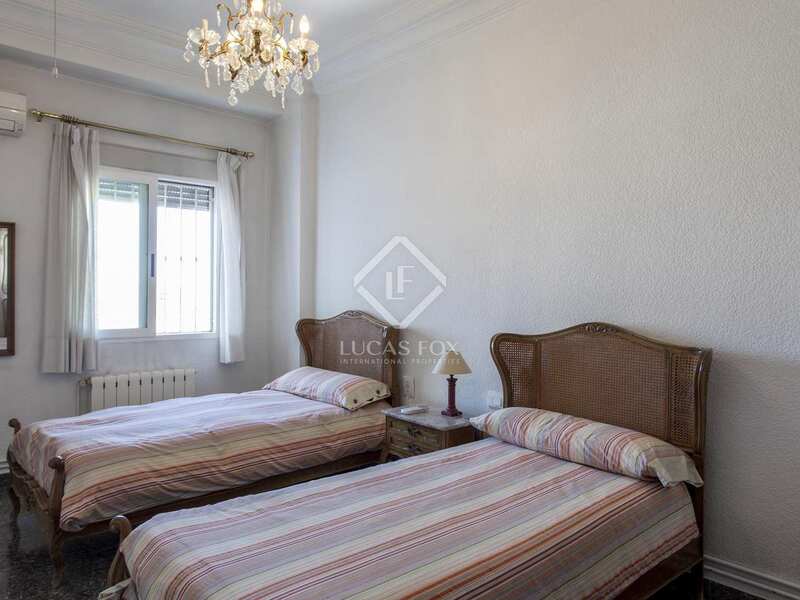 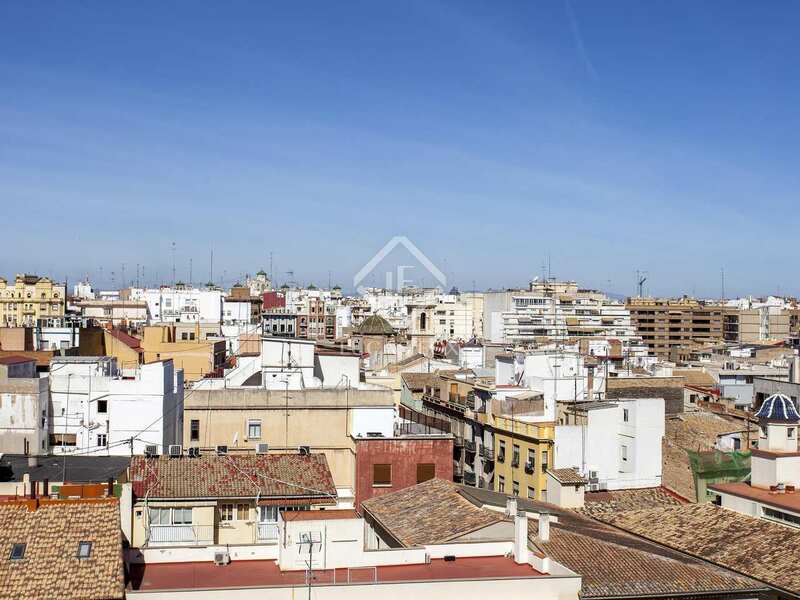 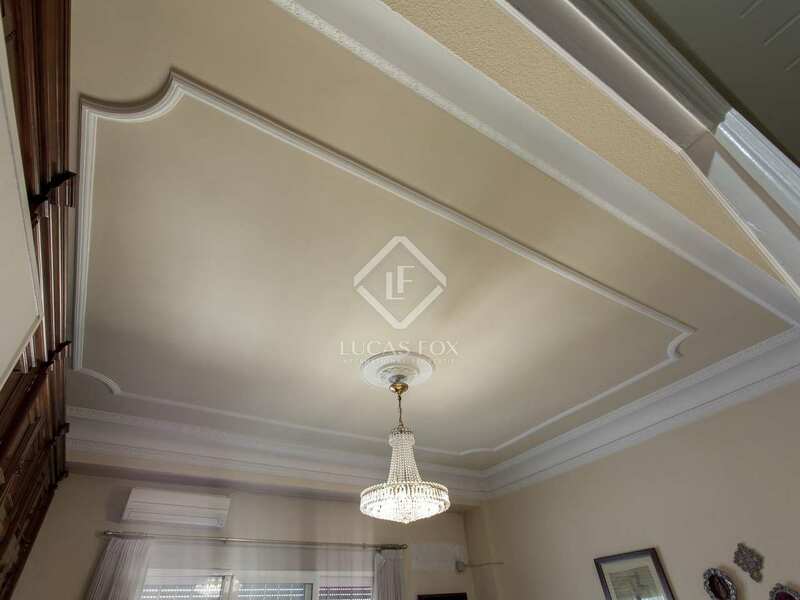 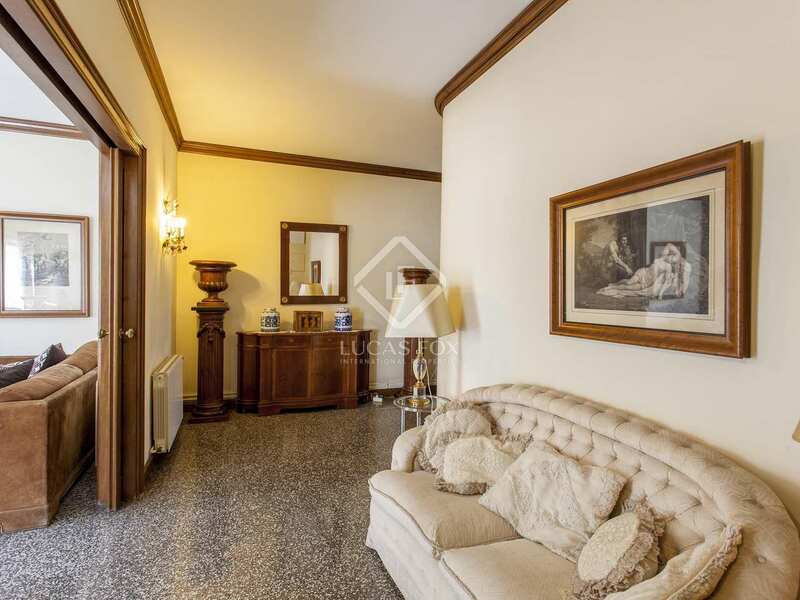 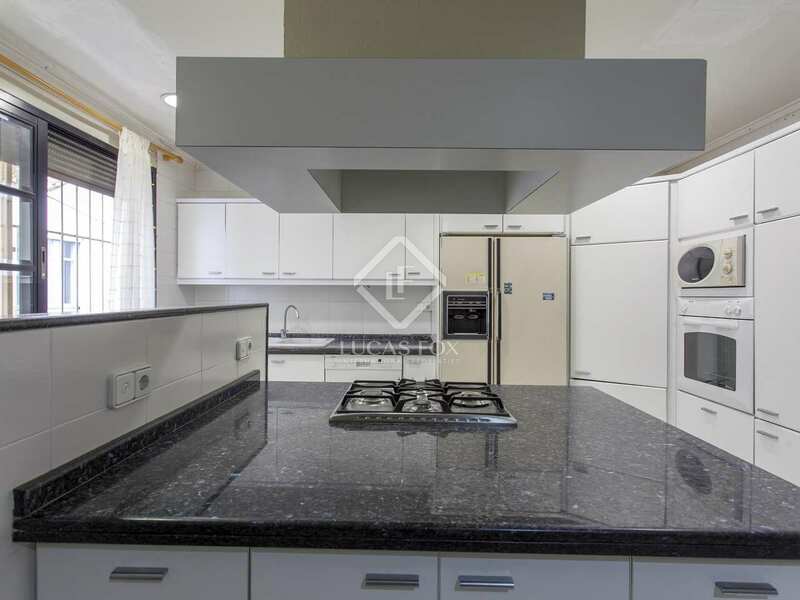 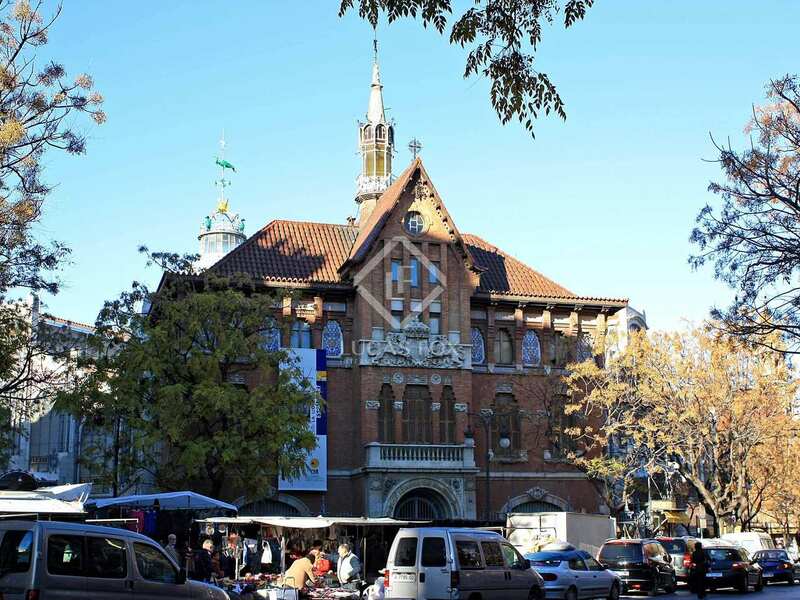 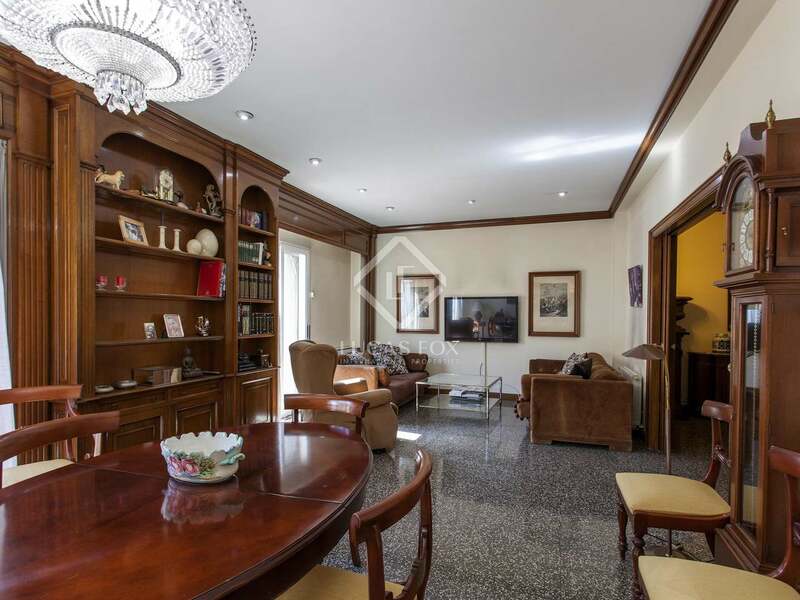 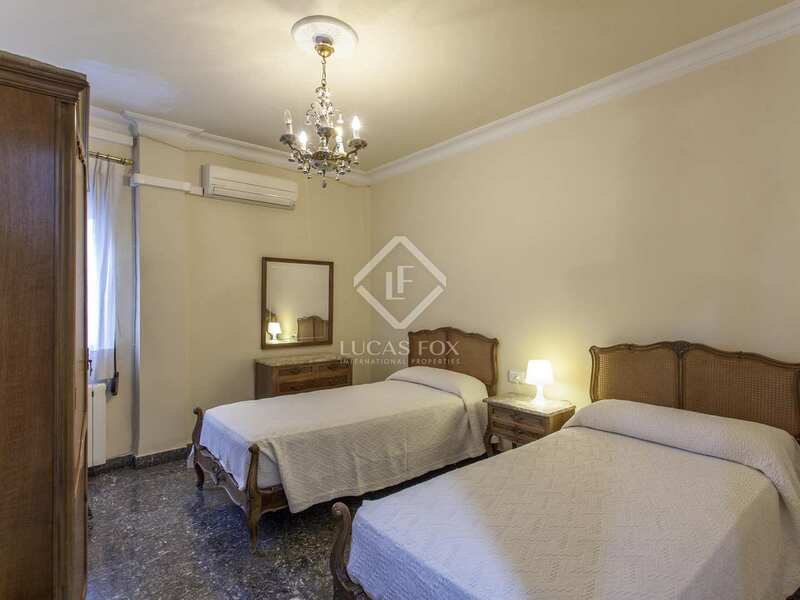 Property located on Avenida del Oeste, close to the Mercado Central, in Valencia old town, close to all of the amenities and public transport of the city centre.